Lloyd Christmas and Harry Dunne are back. 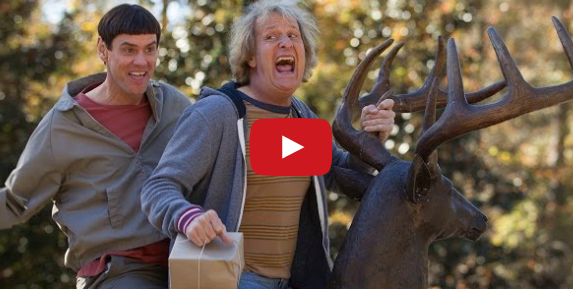 The official trailer for Dumb and Dumber To premiered last night on The Tonight Show Starring Jimmy Fallon. And it's...well, dumb. But it looks fun. The sequel to 1994's Dumb and Dumber, the film takes Lloyd and Harry on another adventure twenty years after the events in the first film. Jim Carrey and Jeff Daniels returned to reprise their roles.